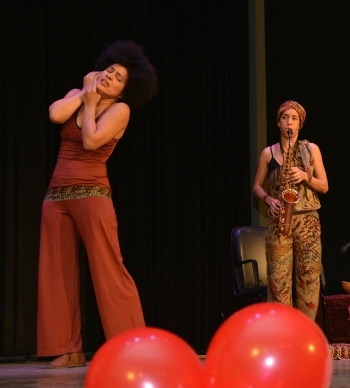 Layla Zami accompanies Oxana Chi in the dance-saxophone duo feelingJAZZ. 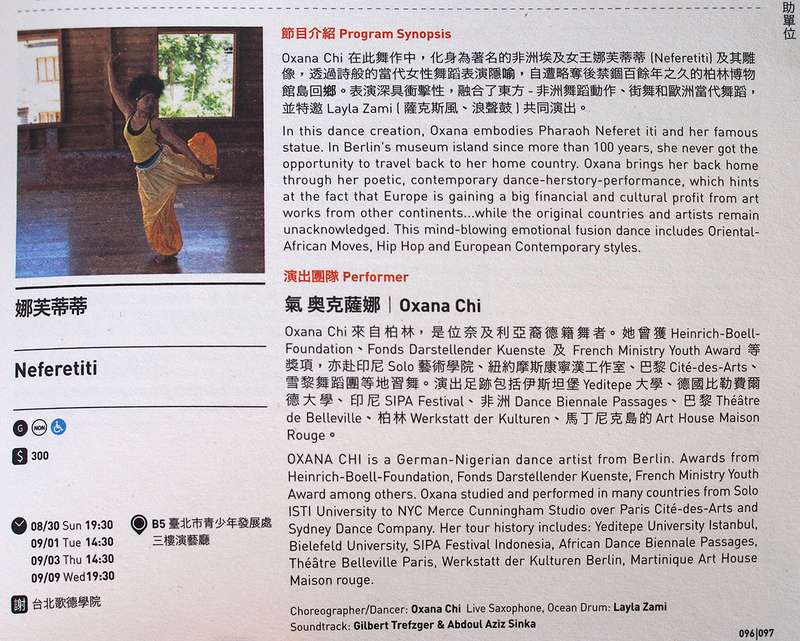 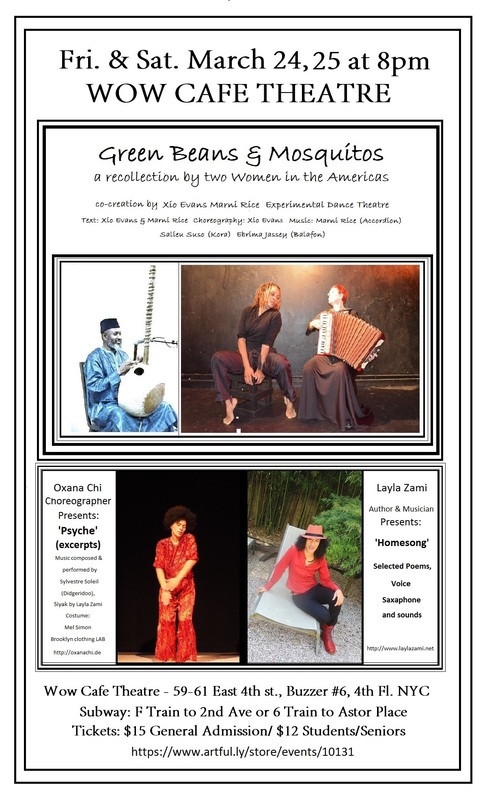 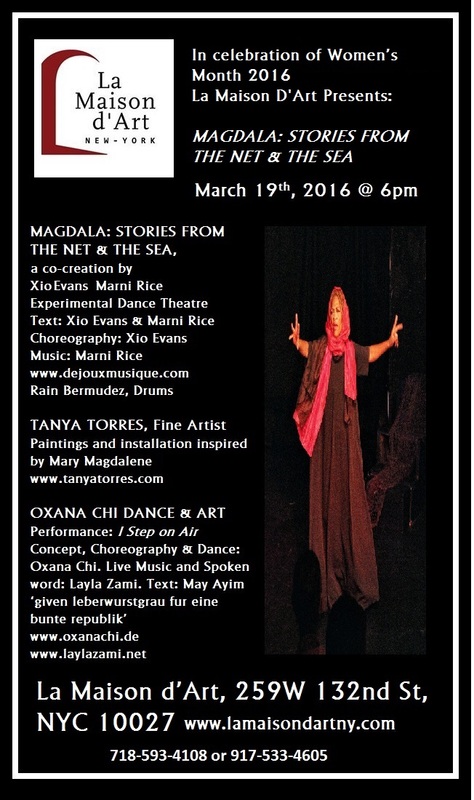 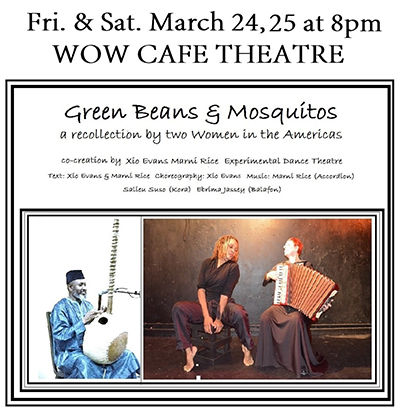 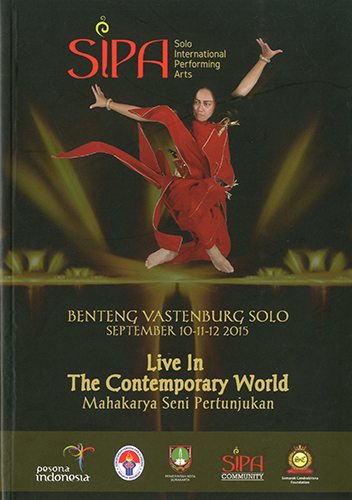 An evening of dance and live-music by and with Oxana Chi & Layla Zami. 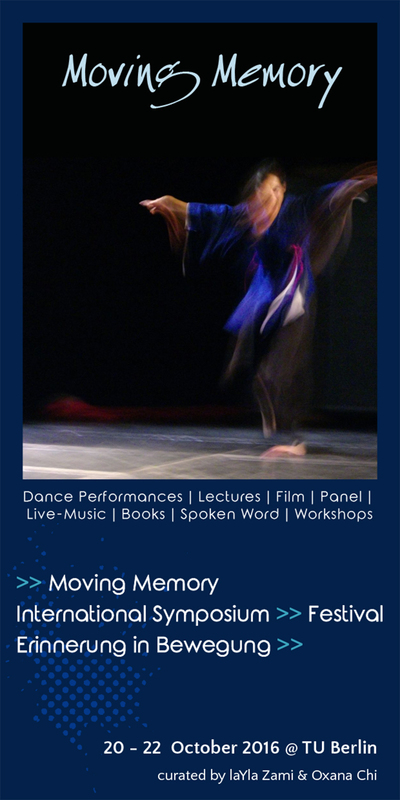 Dancers and musicians from Europe and from the USA search for possibilities to be free, in their movements, their sounds, in community, in society, individually and together. 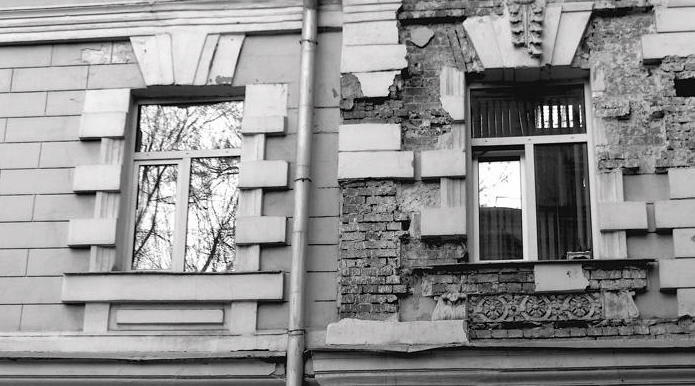 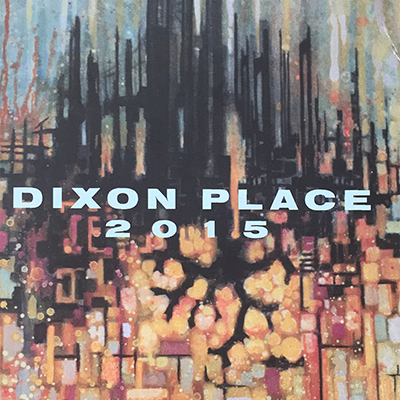 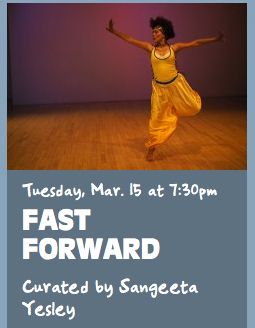 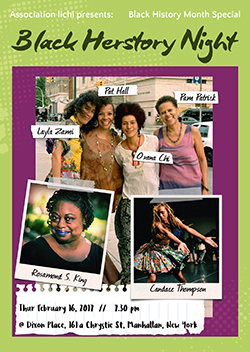 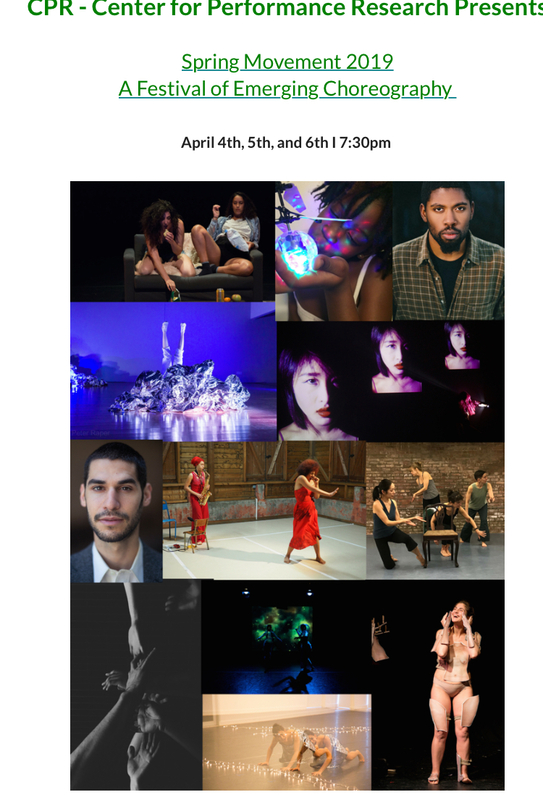 The Brick Theater presents I Step On Air as part of their residency season. 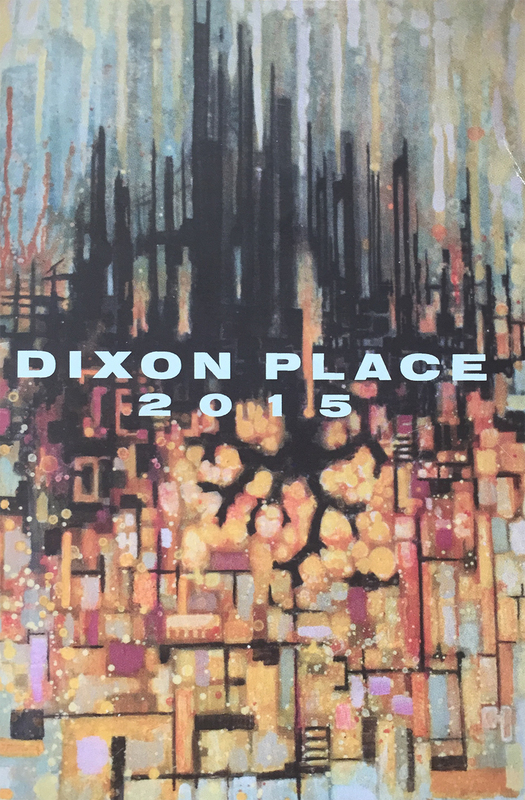 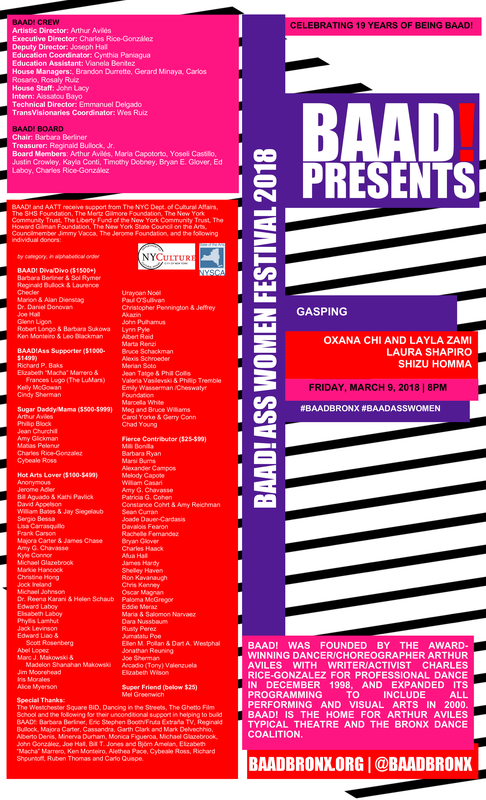 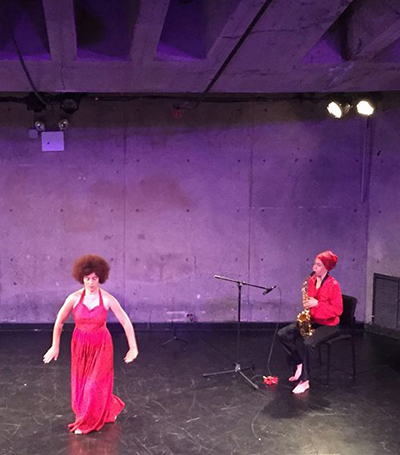 Oxana Chi & Layla Zami are delighted to be rehearsing and performing in this innovative Brooklyn venue! 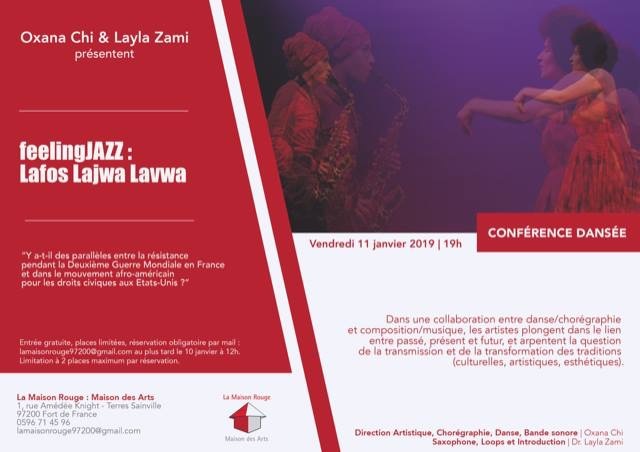 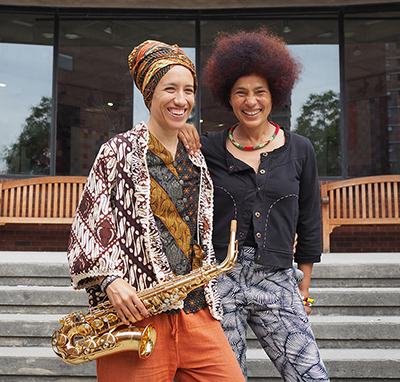 Layla Zami performs own compositions in the dance-saxophone-duo feelingJAZZ by and with Oxana Chi. 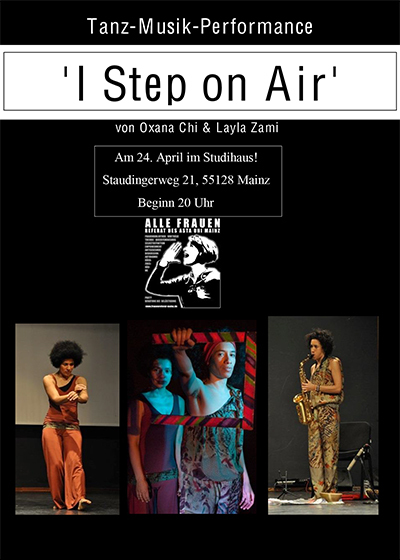 Layla Zami performs as a main musician and actress in the dance-music-words performance I Step On Air by and with Oxana Chi. Layla Zami performs in the dance-music-duo feelingJAZZ by and with Oxana Chi. 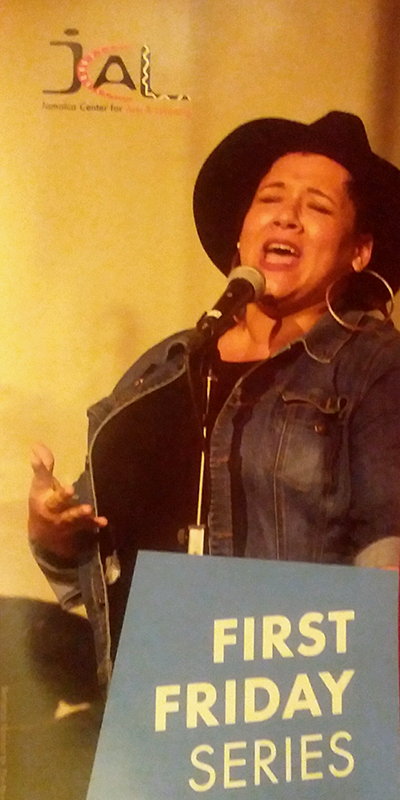 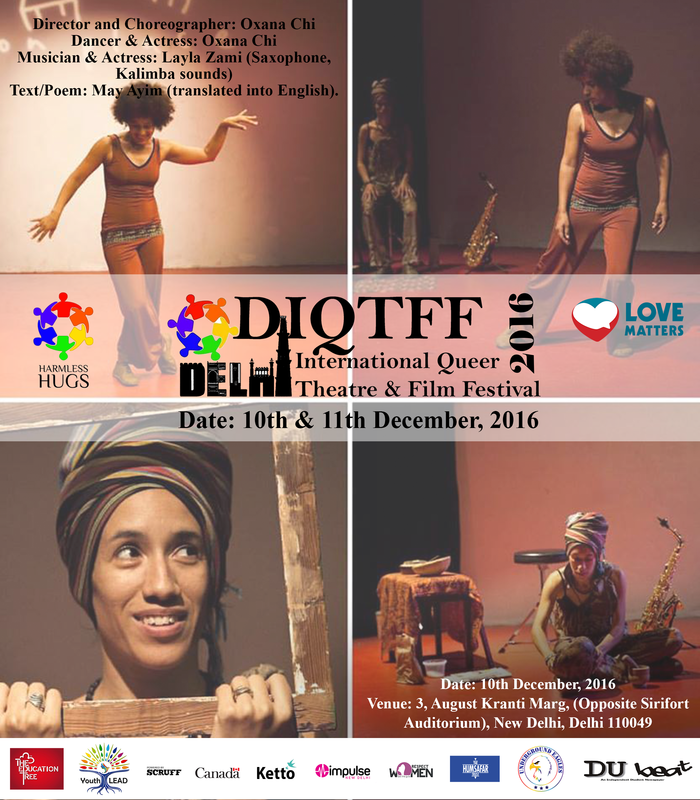 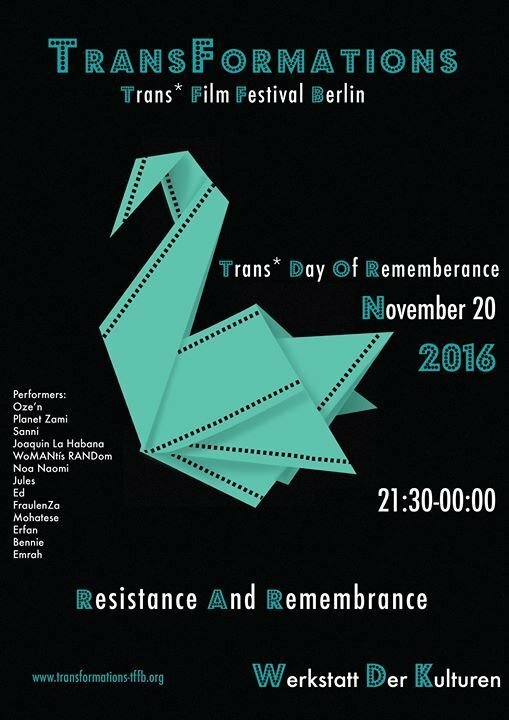 Layla Zami performs her solo Homesong in a special "Celebration of Women*" performance evening which she curates for the weeklong International Human Rights Art Festival. 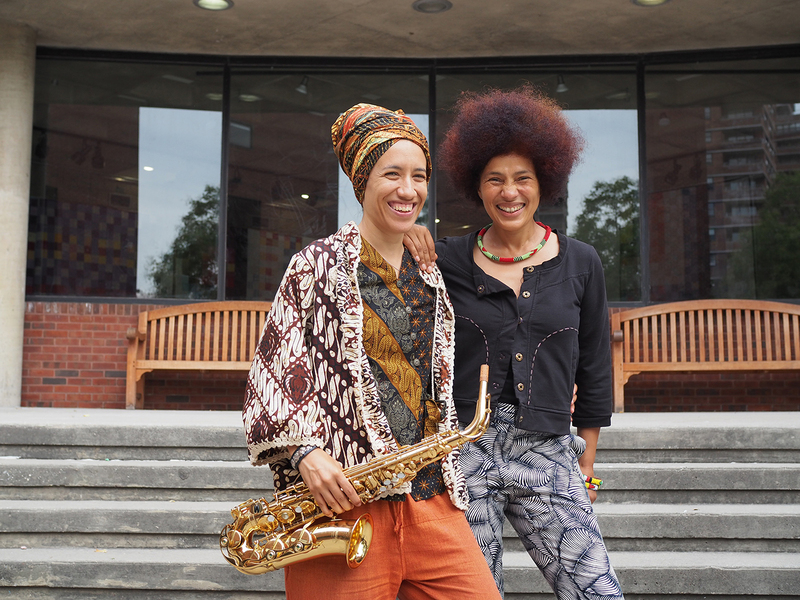 Layla Zami is delighted to present new original composed and improvised music in Oxana Chi's feelingJAZZ, a duo for a body and a saxophone. 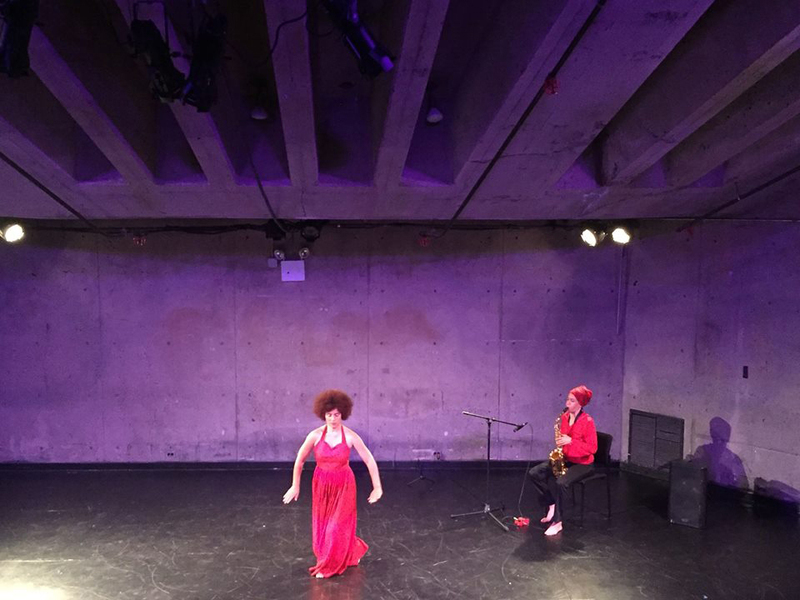 This work-in-progress was developed during Oxana Chi's time as an AIRspace Performing Artist-in-Residence at Abrons Arts Center. 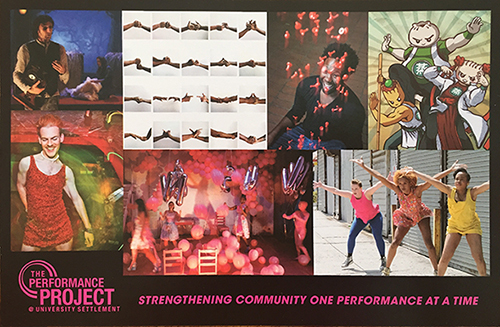 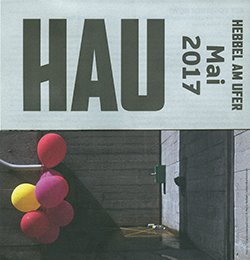 The performance is part of the 2017-2018 cohort Show+Share evening. 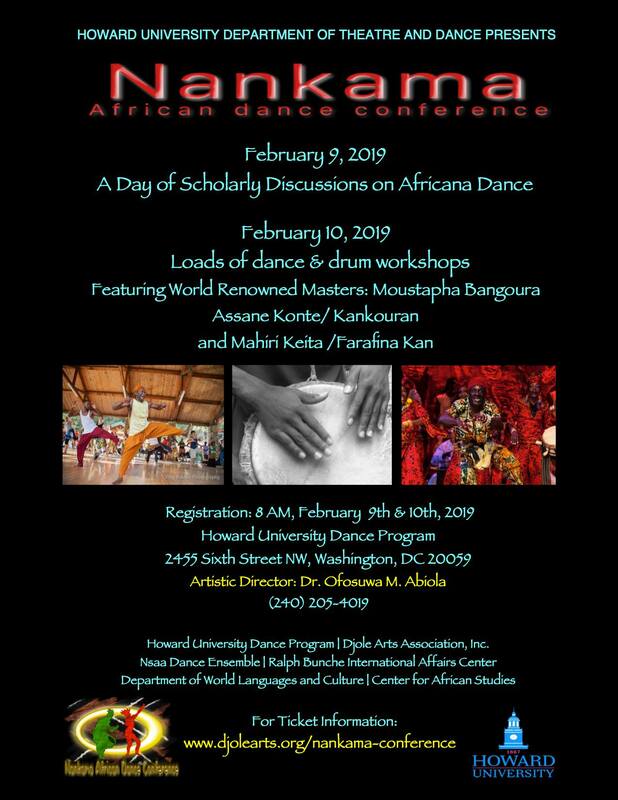 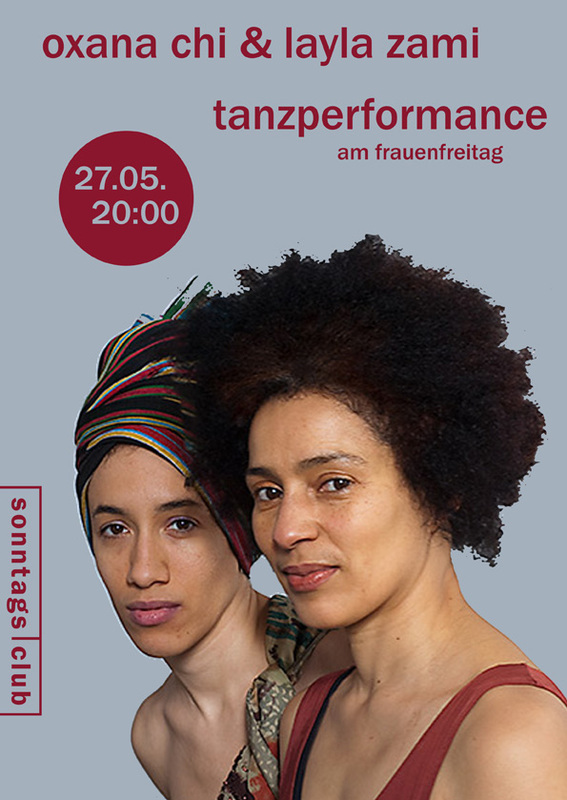 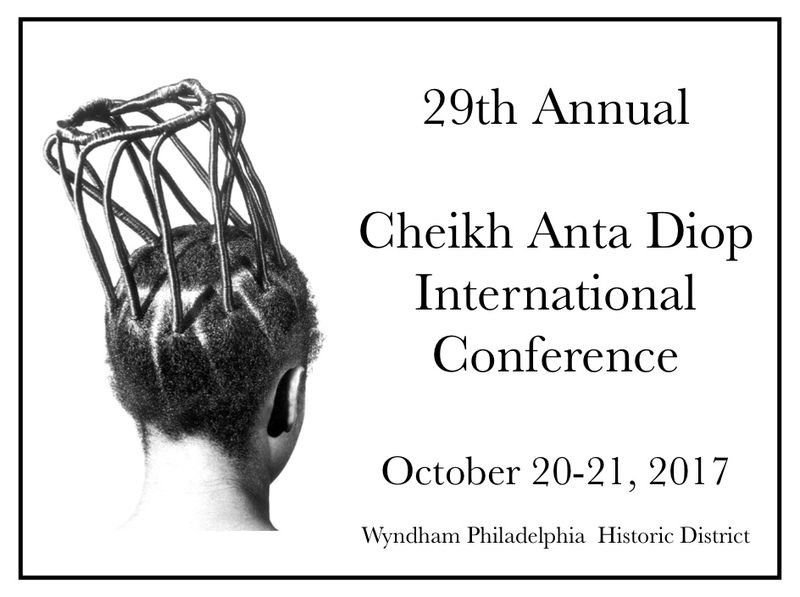 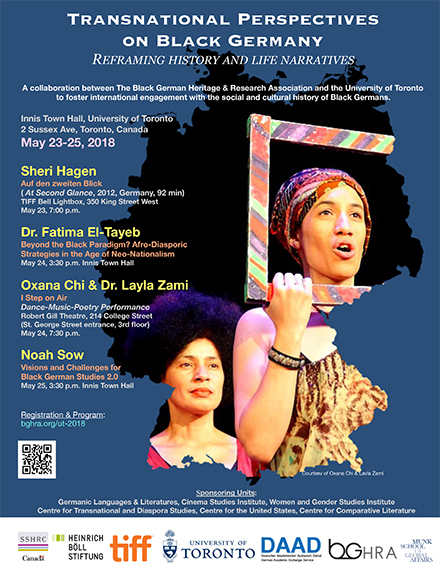 Upon invitation by the US-based Black German Heritage and Research Association (BGHRA), Oxana Chi & Dr. Layla Zami present I Step On Air as keynote performers at the conference "Transnational Perspectives on Black Germany" hosted by the University of Toronto in Canada. 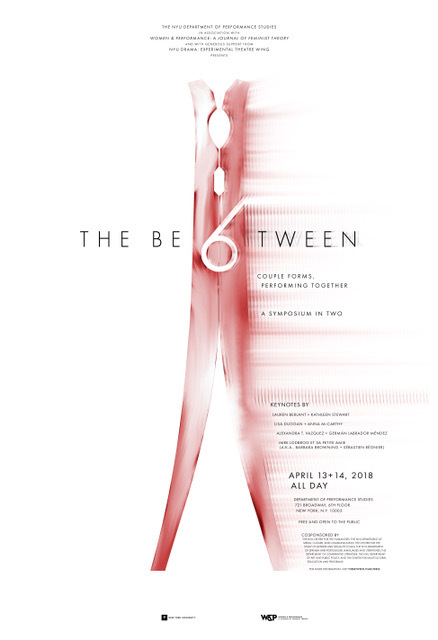 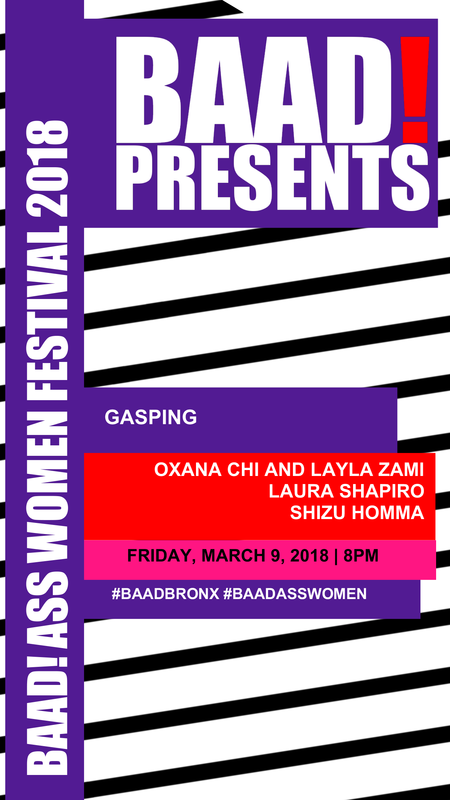 Oxana Chi & Layla Zami will perform I Step On Air at New York University in the realm of the Symposium "The Between: Couple Forms, Performing Together" hosted by the Department of Performance Studies at NYU, in association with the Women & Performance journal. 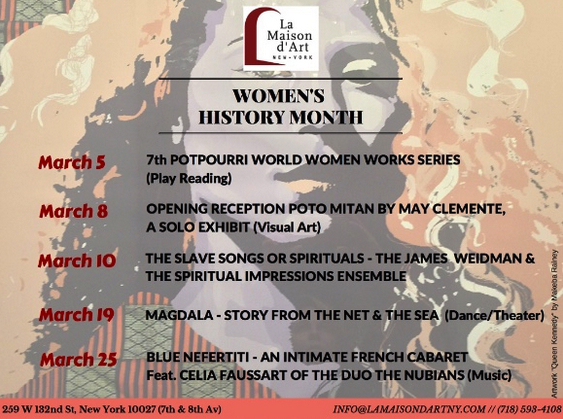 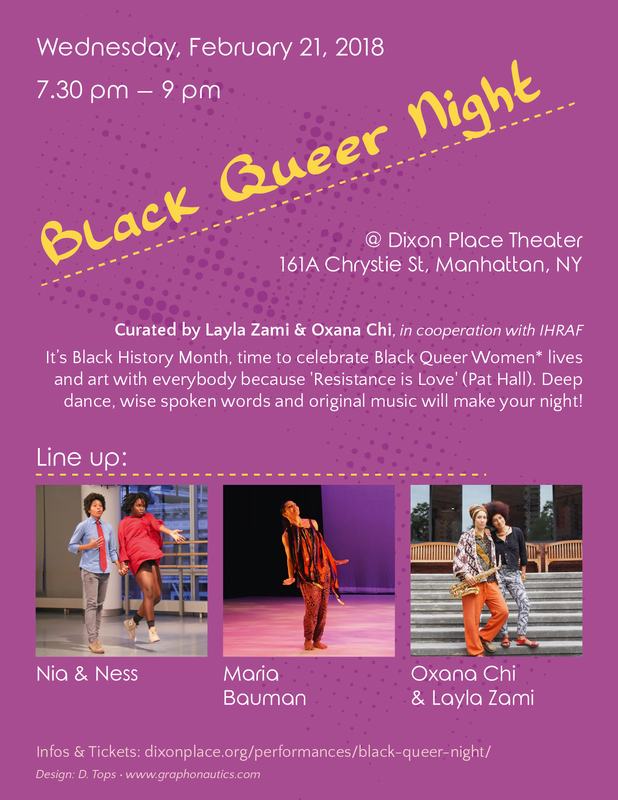 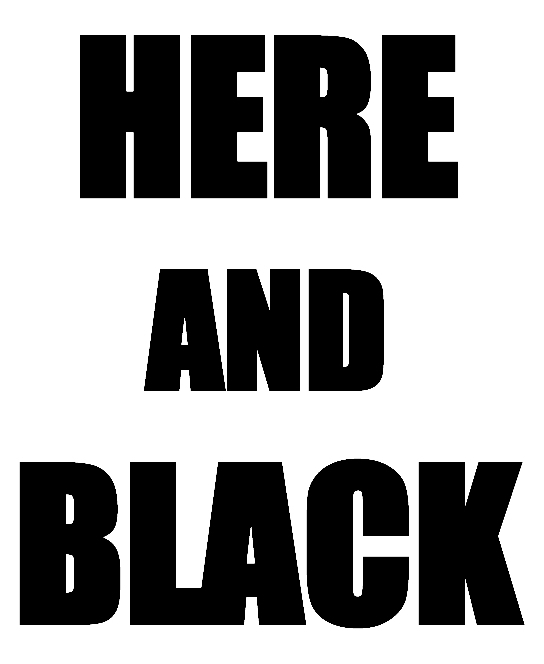 A special event for Black History Month, curated by Layla Zami & Oxana Chi in partnership with the International Human Rights Art Festival (IHRAF). 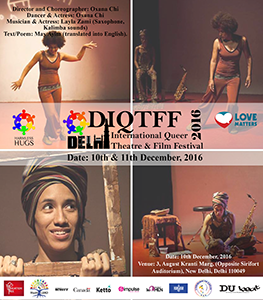 Screening and discussion event organized by DAGESH. 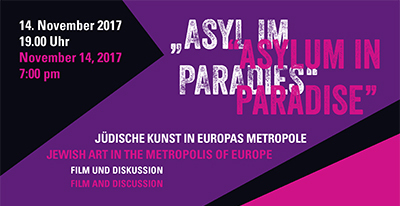 KunstLAB ELES (Berlin) in cooperation with Asylum Arts. 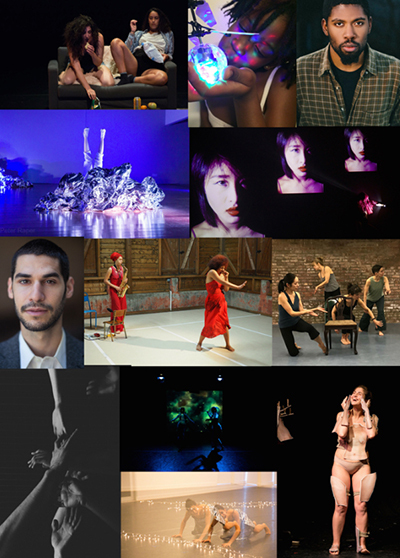 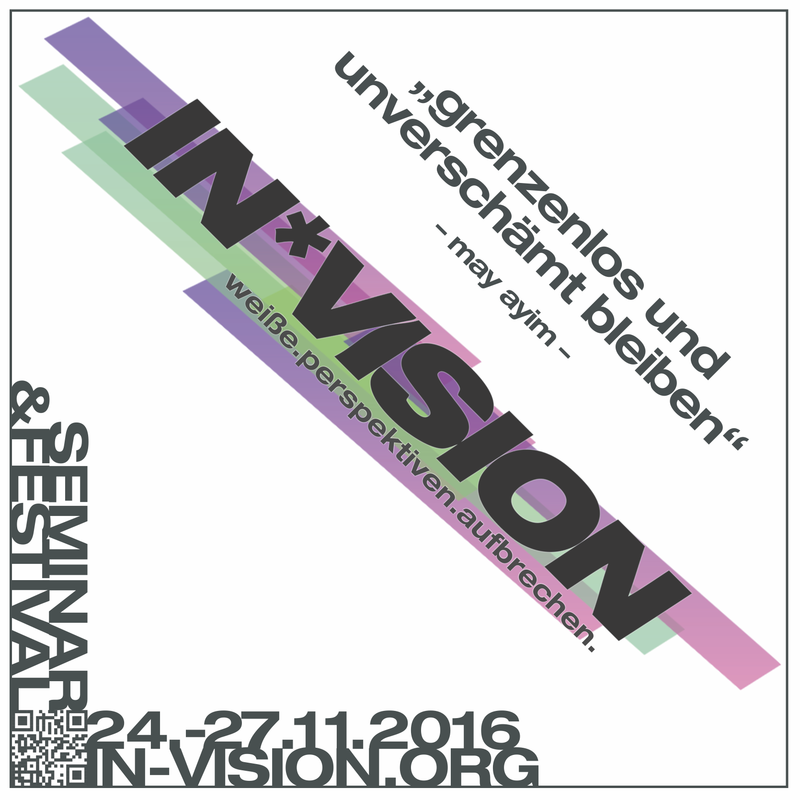 A Global Network for Jewish Artists (NYC), in the realm of the Festival Radikale Jüdische Kulturtage. 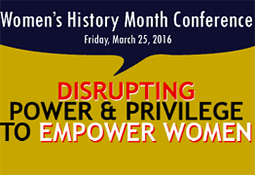 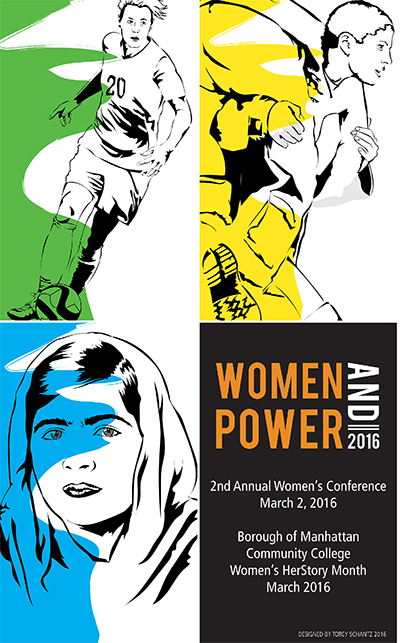 2nd Second Annual Women's Conference "Women & Power"